The Marvel blockbuster won ‘Outstanding Performance by a Cast in a Motion Picture’ ahead of Oscars. He did give a speech, and it was a powerful one. Speaking on behalf of the cast, which included Lupita Nyong’o, Angela Bassett, Danai Gurira and Michael B Jordan who gathered on stage, Boseman seized the opportunity to acknowledge “genius” director Ryan Coogler as well as the film’s impact on pop culture and the representation of African-American actors in Hollywood. 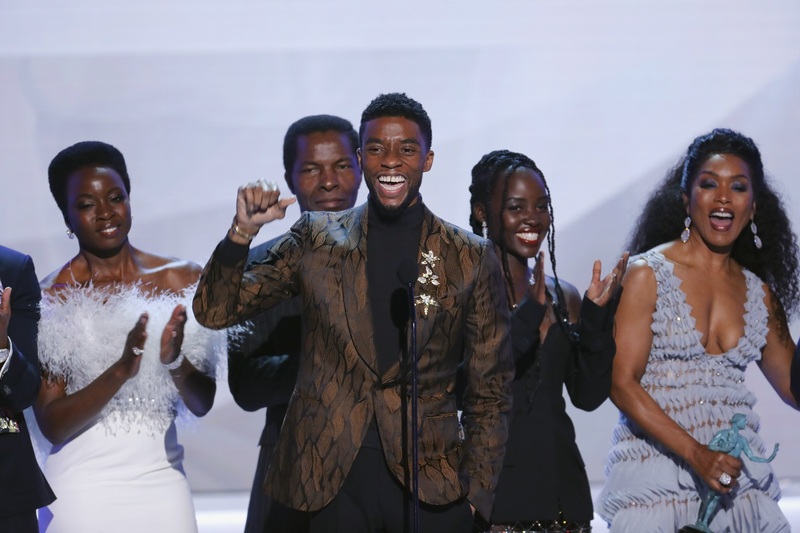 Comic book movies have long been considered inferior art but Black Panther’s victory at SAG, as well as its Best Picture nomination for the Academy Awards, has proven that superhero blockbusters are gaining cultural prestige. The film has outpaced its cinematic peers, not only because it was delivered in a way that was thoughtful and daring, but it also upended African stereotypes. Winning the award’s top gong, and beating out the casts of A Star is Born, BlacKkKlansman, Bohemian Rhapsody and Crazy Rich Asians, is a landmark moment for the blockbuster with a predominantly black cast as well as the film industry as a whole. The cast has been asked repeatedly if the blockbuster's positive response changed the industry, to which Boseman replied, “To be young, gifted and black, we all know what it’s like to be told that there is not a place for you to be featured, yet you are young, gifted and black. See the full list of SAG winners here.